iCarhireinsurance.com have issued a news release yesterday saying that families planning to hire a car this half term are being warned that buying extras at the rental desk, such as excess insurance and child seats, can more than double the cost of hiring a car. They went on to say - iCarhireinsurance.com looked at the four leading car hire companies and found those renting a family car this October in Milan would be charged 120% of the rental cost with Budget for excess insurance and a child seat and 110% with Hertz (see table 1 directly below ). The average cost of purchasing excess cover and hiring a child seat is 81% of the average cost of renting a car from the leading four providers. To save money families are being urged to purchase their car hire excess insurance in advance and consider bringing their child seats with them to avoid being stung by the extras at the rental desk. 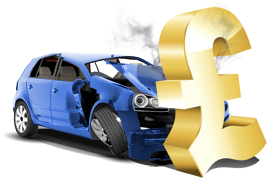 Policies from iCarhireinsurance.com can be bought online for only GBP £2.99 a day or GBP £39.99 for an annual policy. They also include cover for vulnerable parts of the vehicle, which are frequently excluded by the rental companies' policies. In case you did not already know it they also offer van hire excess insurance and minibus hire excess insurance for minibuses up to 9 seats.